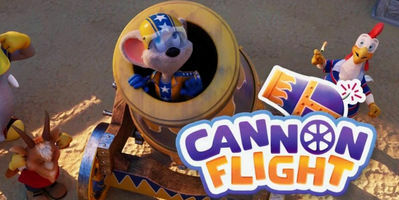 Join Ed Euromaus on an incredible flying adventure in Cannon Flight. 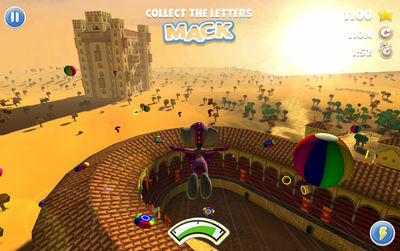 Fly in all kinds of gear like jumpads and wingsuits as you're flung from a cannon, performing amazing tricks in the air, collecting letters and coins along the way. There are a number of challenges to complete across many explorable locations. Play using 5 playable characters like Ed, Eurofant, and Louis, through 4 levels of pure fun including Black Forest, Swiss Alps and Paris. Cannon Flight features online leaderboards to keep you engaged as you rise to the top and become number 1. Grab the apk now and have fun with this game based on the popular 4D movie "The Time Carousel". Install Apk, Copy ‘com.mackmedia.cannonflight1’ folder to sdcard/Android/obb/ , and play.